Griswold Controls is excited to announce the launch of the QuickDisc® manual balance valve. This valve combines a traditional venturi for flow measurement with a ceramic disc never before used in the HVAC market. Ceramic discs have been used for years in the plumbing industry and are a perfect option to replace the more expensive ball valve typically used in HVAC. Please view this video which shows the disc’s movement and explains the benefits of the QuickDisc®. 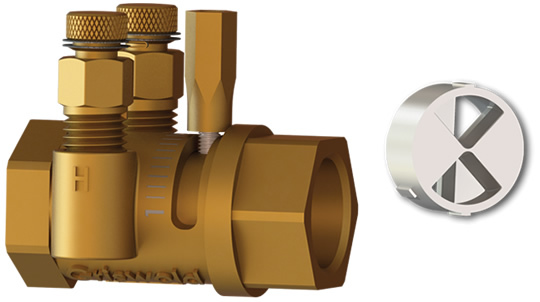 QuickDisc® valves are available in 1/2” and 3/4” sizes, with or without unions. This product complements the current 1/2” to 18” QuickSet® manual balance valve offering.